Twilight Creations donated some board games. 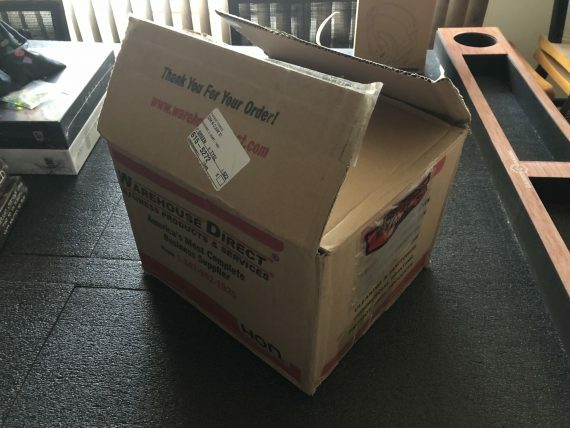 Chicago Comics donated this mystery box full of comics. 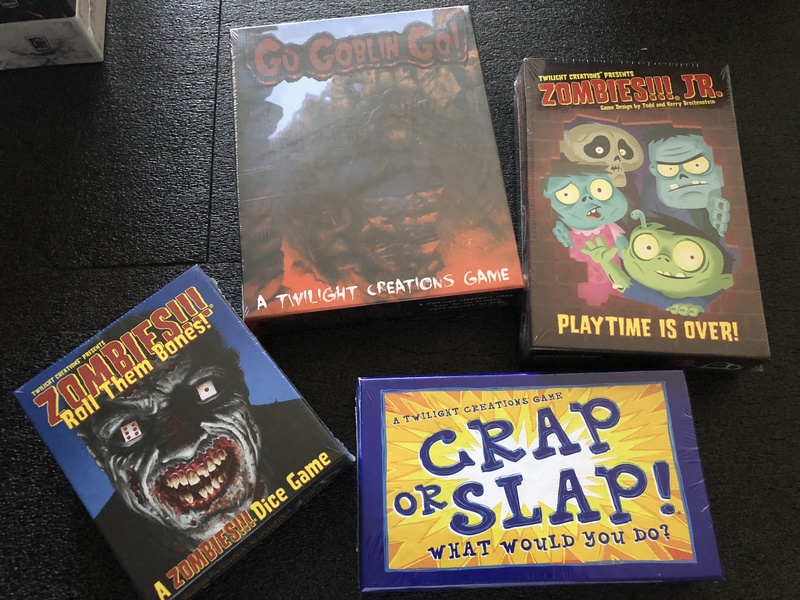 There are some great items in here! 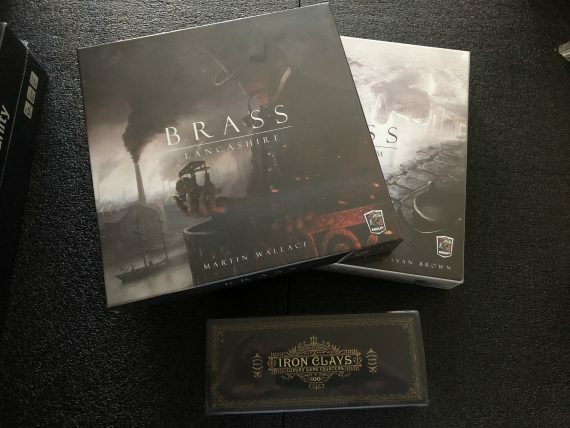 Roxley donated both editions of Brass, and some fancy metal counters to go with them. 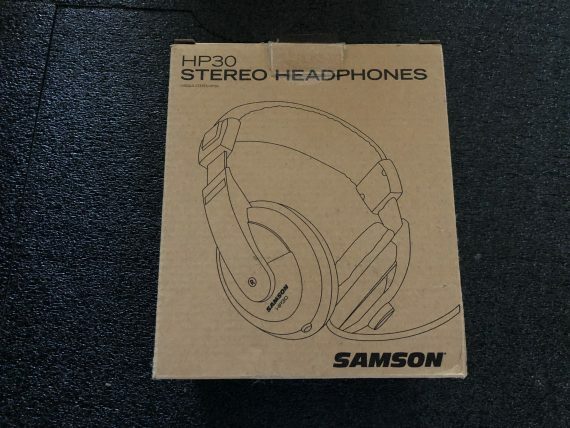 Chicago Skirmish Wargames donated these headphones. 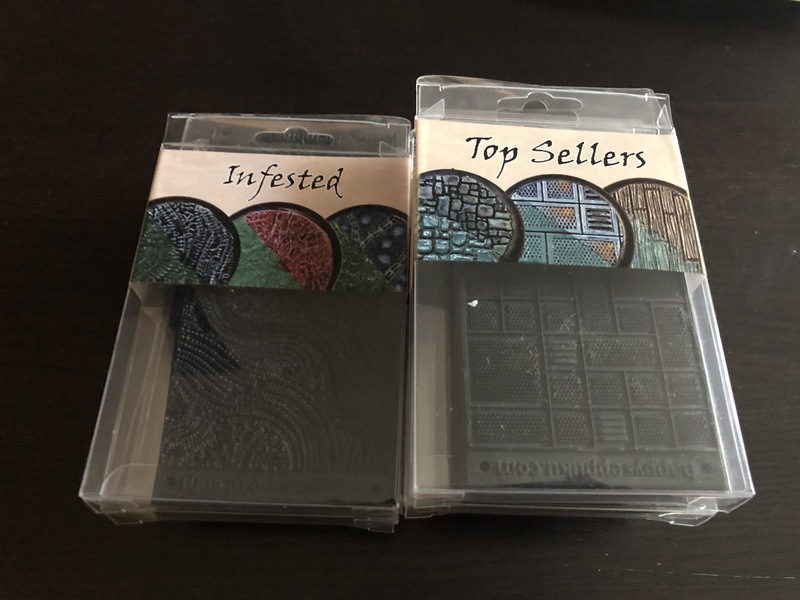 Happy Seppuku donated a selection of basing stamps. 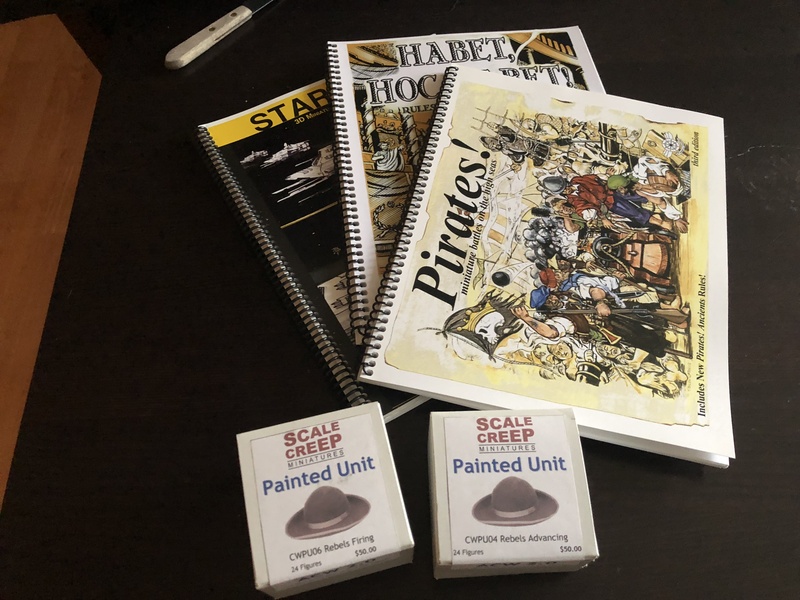 Scale Creep miniatures donated these books and painted minis. 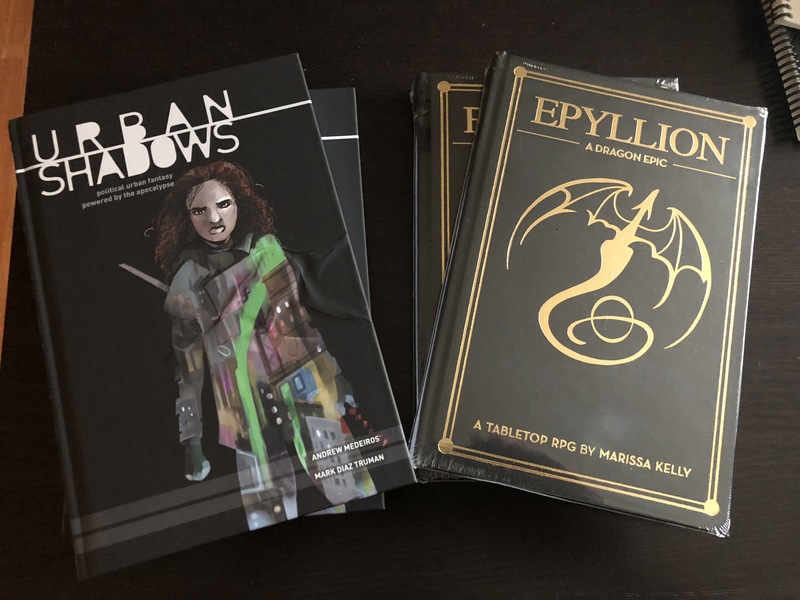 Magpie Games donated some books. 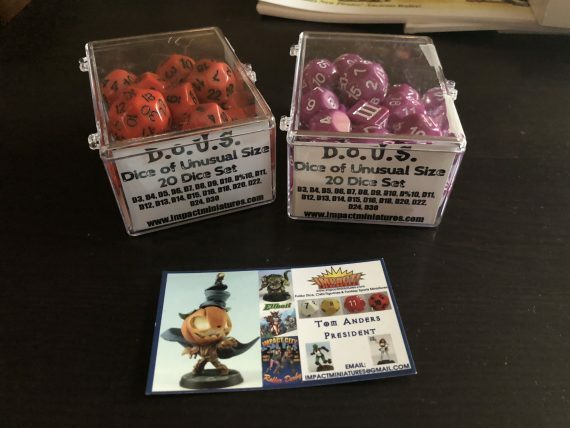 Impact Miniatures donated 2 sets of their unusually sized dice.